Theodor Seuss Geisel was born in Springfield Massachusetts and brought to his grandparents’ home after his birth. His grandparents lived on a street that made such an impression on him that he named his first book after it. And to Think That I Saw It on Mulberry Street is the title of the book that he almost burned before it became his first literary feat. He was a college student both here in America at Dartmouth College and abroad at Oxford University. It is safe to say that he was a very eccentric writer. He would shut himself off from the world with only his wife at his side for hours and hours at a time so that he could write. His books have sold in the billions, making his titles more famous than even the Harry Potter books. Literature is important to everyone in this world, and Dr. Seuss is a brilliant way to bring excitement to your students’ eyes. They will never forget hearing those funny phrases and words roll off your tongue and into their ears. The word play within the pages of his books may be the spark of many writers’ careers and readers’ adorations for books. Reading is essential to everyone’s success. Reading is the doorway to even the brightest of destinies. Open your students’ hearts to Dr. Seuss’ books while expanding their minds to the fun side of education. There are too many titles that will perk up your students’ attention and peak their imaginations for this project, but, within this article, we will stick with three of Dr. Seuss’ books. We will turn to those that are the most famous for their fun and rhyming schemes. 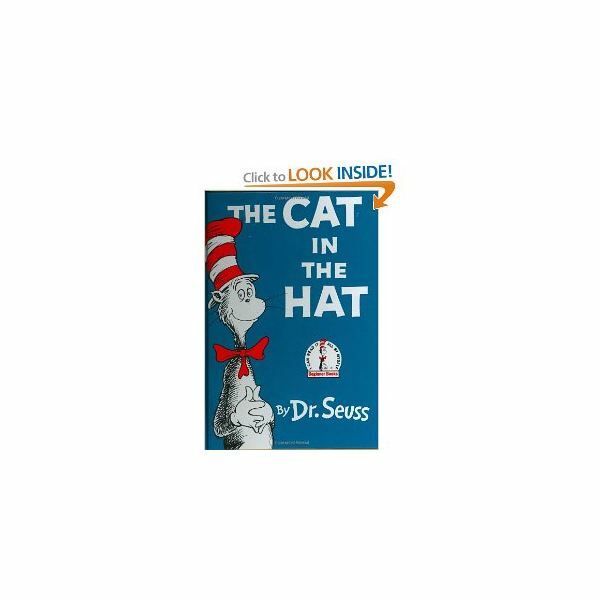 The book The Cat In The Hat is a classic and based on a silly cat and his sidekicks. The rhyming is super and the illustrations are striking. It is a little known fact, but Dr. Seuss and the Cat in this book both liked to wear bow ties. 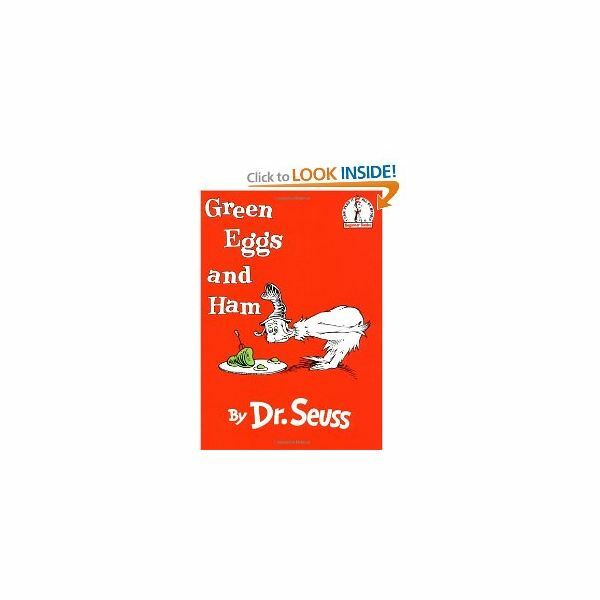 The second book is Green Eggs And Ham. This book is a very good way to teach children that trying new foods is not a bad thing. The book tries to encourage children to try different foods even if they have not tried them before. This book was written after a dare given to the author when he wrote an entire book in fifty words or less. It might also be a good time to explain to them that riding your car in the trees is never a good idea. 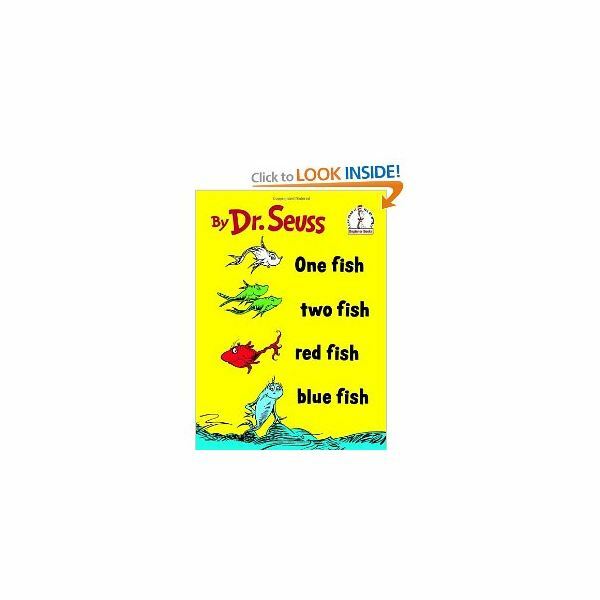 The last title suggested within this article is One Fish Two Fish Red Fish Blue Fish. This book is chock-full of rhyming schemes that will hold your children’s concentration in a way that no other book has. This is a funny little book that most preschoolers will definitely find intriguing, and it may even become one of your class favorites. Who can lose with Dr. Seuss? There may not be one children’s library or elementary school that does not own at least a book or two written by Dr. Seuss. It is very possible that your class will want you to read all the books by this author repeatedly. If you have chosen to read one or all the titles to your classroom, you will need to discuss the plot of each book and ask your children questions concerning the book or books. Ask them questions that will reiterate the action the book held. Ask questions that bookmark the main character from the book within their minds. Help the students remember some of the key phrases and rhyming schemes by repeating them with the children a few times. Repeating the rhyming schemes in short phrases they can remember will be a lot of fun for the children. Print and copy the Cat’s Hat. Have your students color the hat. Materials: You will need thin slices of deli ham soaked in green food coloring overnight, two hard-boiled eggs per child, plastic plates, and plastic cutlery. Instructions: Present each child with the food, and, before you allow them to try the food, ask some questions about it. Ask your students if the food looks good to them. Ask them to tell you what type of food it is. Ask them to try a small piece of food. Ask them how it tasted. Ask them if the food tasted better than they thought it would. (Check with parents for any food allergies before this activity). If you have access to computers in your classroom, go to the Seussville website. Once you are in the site, go to the link called playground. Go to the game titled “Sam I Am Says.” The object of this game is to have the children complete the phrases within the book by choosing the appropriate link. If they pick the wrong one, a counter will keep score, letting them know how well they are progressing. This activity will help the students to remember what they read from the book. Materials: You will need a package of slender medium or large brown paper bags big enough for the children’s heads, string, red and white washable paint, red construction paper, and tape. Instructions for Hat: Draw strips across each child’s paper bag. Allow the children to paint the strips red and white on both sides. Allow the hats to dry. Open up the paper bag, tie a string close to the end, and fold up enough of the bag to cover the string. Cut strips of red construction paper and cover the bag at the bottom. Instructions for the Tie: Draw a bow tie on red construction paper and use it as an outline to cut out enough for all the children. Punch two holes on each side and thread the string through it. There should be a knot on each side of the bow closest to the child’s neck so that no one can see them. This is the time for reviewing what you have learned from the books. Have the children openly discuss something they took from each book. It is okay to help them with the phrases if they need you to. Overall, you will give your students the memories of a lifetime. Your goal, like Dr. Seuss, is to make their childhood as magical and playful as can be. With this lesson plan, you are sure to give them a taste of what may be a lifelong love of reading fun. “10 Facts About Dr. Seuss” BBC News Entertainment. August 6, 2009.